When witnessing great young talent, we oftentimes prefer to stay in the now rather than predict years in the future. However, some MLB players seem to have that special something very early on. The Hall of Fame is the most prestigious individual accomplishment that a player can achieve. Only the best the sport has ever seen is granted access to this holy grail. It is safe to say that it takes a tremendous career, and a tremendous person, to make it into Cooperstown. Because of this, we often wait until a player’s career is dwindling down to assess whether or not they are Hall of Fame worthy. Not today, as we are going to look at the young guns of MLB. Now, it is pretty absurd to classify someone so young this soon as a Hall of Famer. Anything can happen in the next however many years, and I may end up looking pretty foolish. But, like previously stated, some players just have that something special that screams future Hall of Famer. And yes, we are all currently thinking Mike Trout, but there are two other guys we are going to include as well. You may be able to predict one of them I am already thinking of, but the third will definitely be a curve ball. Anything can happen to these players in their careers – they could regress, or forbid that they get injured. We have seen some of the greatest talents fall from grace, and some of the most promising players get injured. However, these three players will likely stand the test of time and eventually be inducted into Cooperstown. Mike Trout may be the only guy on this list that is hard to debate against. Sure, you could make the statement that if Mike Trout retired today he wouldn’t get in, but even that is a stretch for me. Mike Trout has played five years in MLB, and in each of those five years he was either first or second in MVP voting. He is already a five-time All-Star and two-time MVP, with the only thing eluding him being a championship. The Angels must get better if we are to see Trout on a playoff contender in the future. Either way, he will likely make it back to October at some point and actually win a game. Since 2012 Trout has accumulated 47.0 WAR, according to Fangraphs, and has a 47.7 mark for his career. He is 20th in WAR since the turn of the century, despite missing essentially 11 years. He has slugged 168 home runs and collected 497 runs batted in, all while batting .306. Trout has swiped 143 stolen bases and scored 600 runs. He is the only player with over 140 home runs and stolen bases during that span, and is only second to Ian Kinsler in runs. That is due in large part to the fact that Kinsler played in all of 2011 while Trout only played in 40 games. Heck, I know anything can happen, but it is so hard to imagine anything stopping Trout from becoming a Hall of Famer. Even if something did happen to stop his career he would get elected out of respect for his historic five-year run. 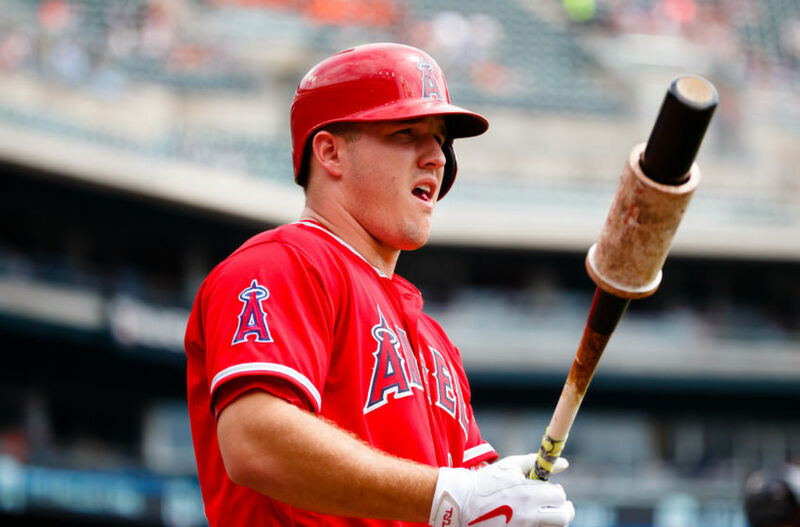 Let’s say Trout has another five years like this, then five years of being about three-quarters as good, then five more of being half as good. That would give him about 140 career WAR, which would be fifth all-time behind Babe Ruth, Barry Bonds, Willie Mays and Ty Cobb. I am still a very firm believer in Bryce Harper, despite how his 2016 went. My biggest argument for Harper is that he is still very, very young. Harper is barely 24 years old, giving him a year and a half cushion on Mike Trout. Plus, Harper has been living in Trout’s shadow for years. They came up around the same time and one has exceeded the other. 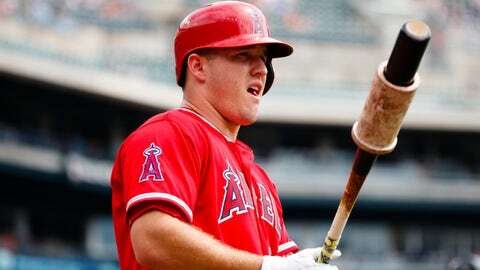 Harper was the next big thing, while Trout quietly made his mark as the best prospect in baseball. 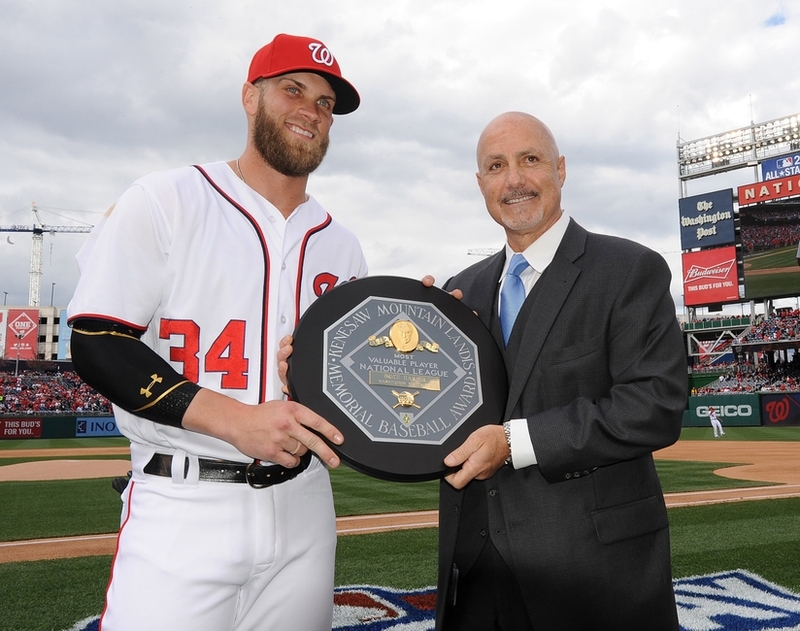 Despite this, Harper will likely see himself in the Hall of Fame one day. Pitchers figured Harper out in 2016, but he can always rebound and put together a great career. 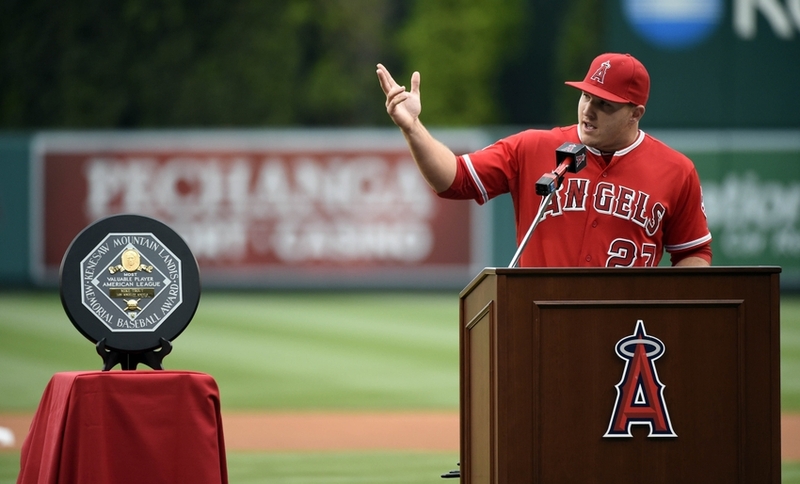 Let’s face it, Harper’s 2015 was super special, and was better than any year Mike Trout has ever had. Sure, Trout has had a higher WAR, but with equal fielding Harper would have blown Trout out of the water. Yes, fielding is an essential part, but Harper’s fielding doesn’t hurt the Nationals. It’s just hard to gain much WAR out in right field. 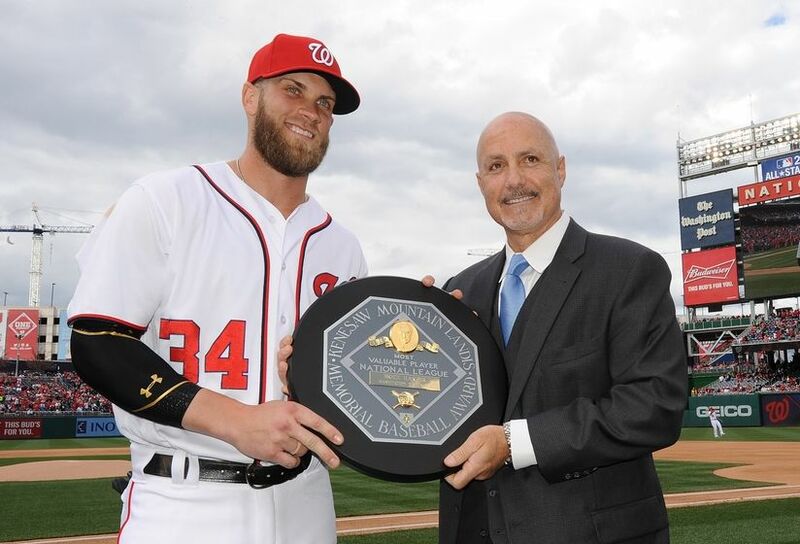 Regardless, we know Harper’s ceiling to be around .350 with 50 home runs. While that is his absolute max, it isn’t absurd to think Harper can consistently bat .320 with 40 home runs. With an offseason to rest and adjust, Harper will likely come back strong next season. While he may not be like Trout, I would not be surprised to see Harper flirt with 100 career WAR, having a similar career to Albert Pujols. Manny Machado does not get the recognition he deserves, despite statistically being the second best player under 25 since 2013. 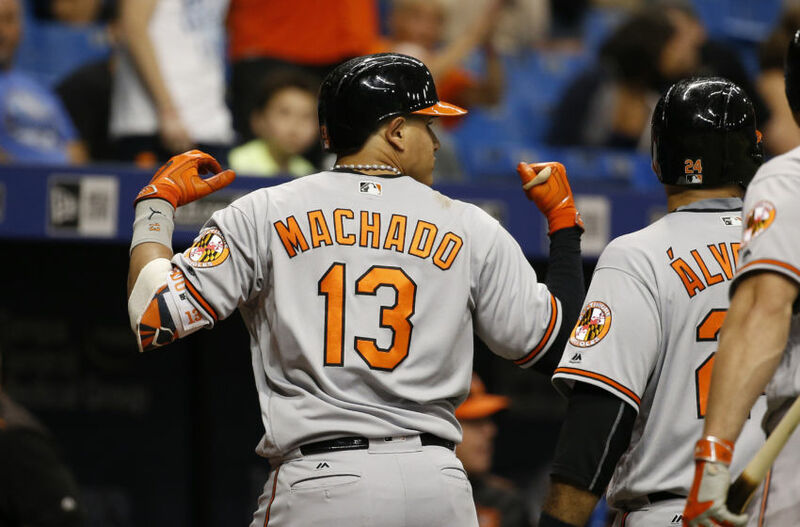 While some might not imagine Manny Machado to be a Hall of Famer, as it is far too soon and he doesn’t get much recognition, I am a strong believer that one day he will be inducted. Debuting in the same year as Harper and Trout has certainly hurt Machado’s reputation, but he is still one of baseball’s best players. 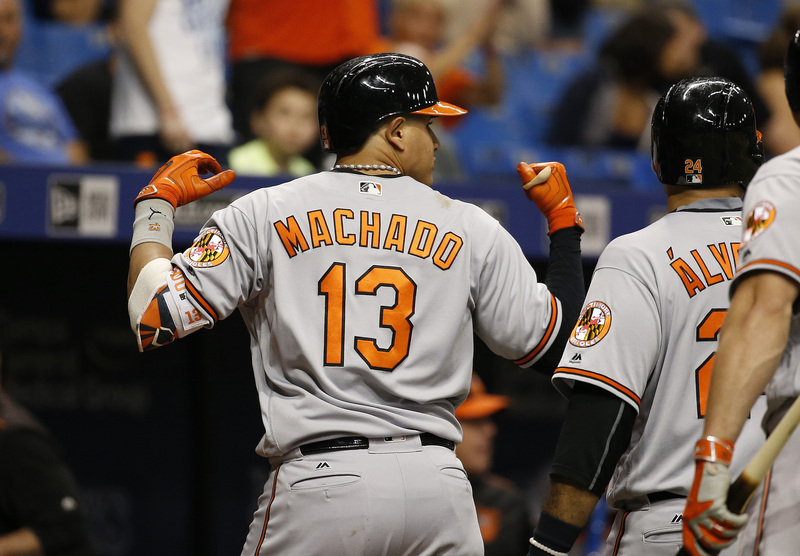 Outside of his 51-game 2012 and his 82-game 2014, Machado has posted a 6.0 WAR each season. His pretty solid hitting combined with his outstanding fielding make for a player that sabermetrics gurus love. He has slugged over 30 home runs and 100 runs batted in each of the last two seasons, and has been just shy of batting .300. At only 24 years old, he is likely not yet in his prime and could eclipse 8.0 WAR at his best. Next: Closer by Committee for A’s? Let’s play what-if with his numbers. Machado will likely post around 6.0 WAR for the next three seasons, then we will average his prime out to 7.5 WAR for those next three seasons, and add another three seasons with a 6.0 WAR. Machado would be 33 years old and likely have five more years left in him. If we average those five years out to 2.5 WAR he would finish his career around 90 WAR. Now that is a Hall of Fame number.